The amazing finale of The Deadpool Corps’ premiere mission! What lies at the heart of the cosmic consciousness? 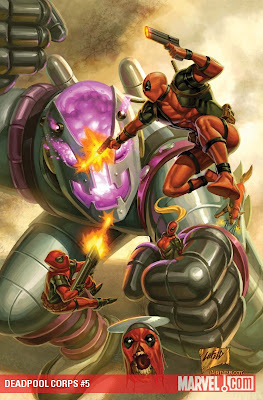 How will Deadpool and company defeat this sinister thing which menaces the multiverse? Will the good ship Bea Arthur weather the cosmic Mind Storm? It's do or die!